We are thrilled to be taking Salonica on New Zealand tour. Thanks to the NZSL Fund and the support of the University of Waikato, we will be taking Salonica to Christchurch, Wellington, Auckland and Hamilton. 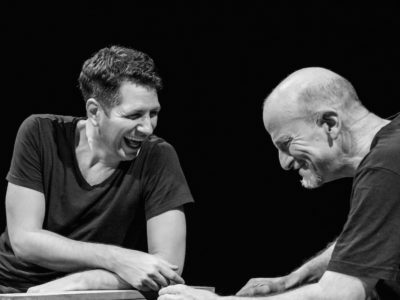 Salonica is performed in NZSL, English and Serbian, and is accessible for Deaf and hearing audiences. More about Salonica here. We will be running theatre workshops for both Deaf and hearing participants in each place, so please get in touch if you would like to know more.